PWB Have been Installing, Servicing and Repairing Heat Pumps for over 30 years. Heat Pumps are a low cost way of providing heat, (Either air or water) to any building. They provide heat by absorbing it from the ground or outside air, This heat can then be used in a variety of ways, to heat radiators, under-floor heating systems, warm air convectors and hot water systems. They can be ideally used to directly replace an Oil Fired Boiler for example. All Air to Air Heat Pumps are also able to provide cool air in the summer as in any air conditioning system. 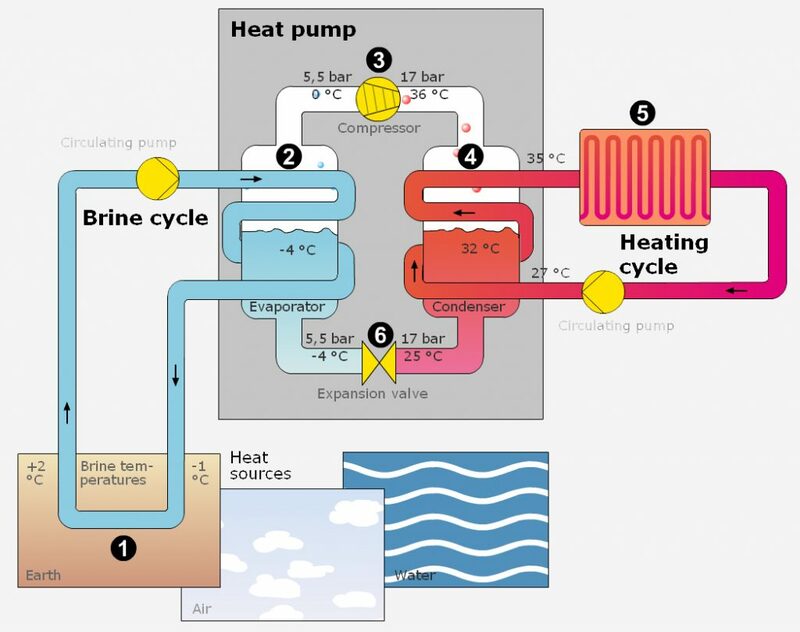 An air source Heat Pump extracts heat from the air outside. It can even absorb heat from the air when the temperature is as low as -15°c. A typical Modern Heat Pump System has an EER (Energy Efficiency Ratio) of 4.95, That means it will produce 4.95Kw of heat from 1Kw of electricity! If you require any advice or more information on Heat Pumps anywhere in Central Southern & South West England just give us a call any time.